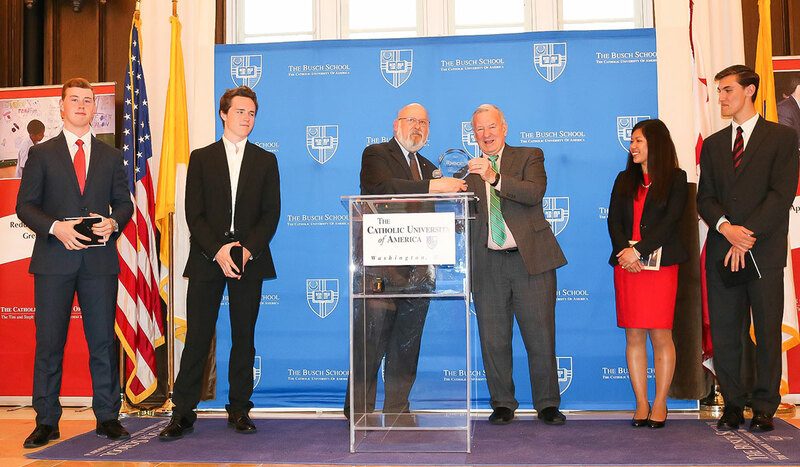 Four freshman business students represented The Catholic University of America at the 2017 International Business Ethics Case Competition (IBECC) last month, winning awards in several divisions. 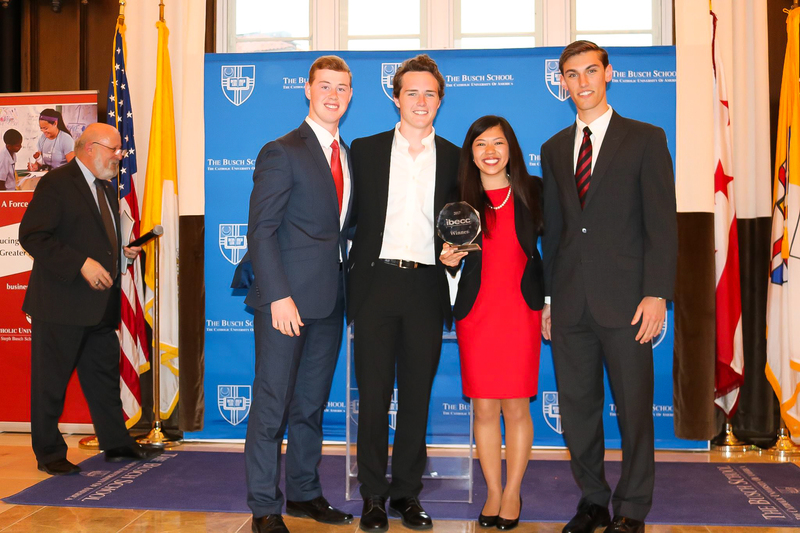 The competition drew 33 college teams from six different countries. Emma Flanagan, a marketing major from Dayton, Ohio, won first place in the 90-second elevator pitch presentation, introducing the need for establishing an ethical compliance office for up-and-coming, medium-size businesses. 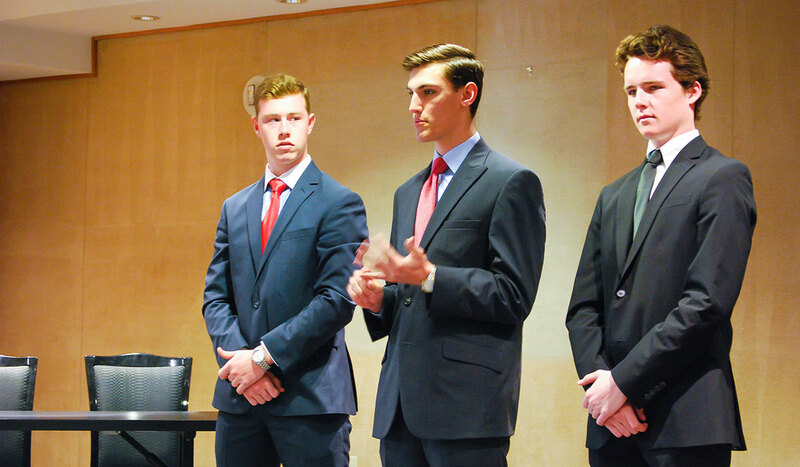 Flanagan and teammates Nicholas Spinelli, Billy Wilson, and Owen O’Loughlin placed third in the division for 30-minute presentations. 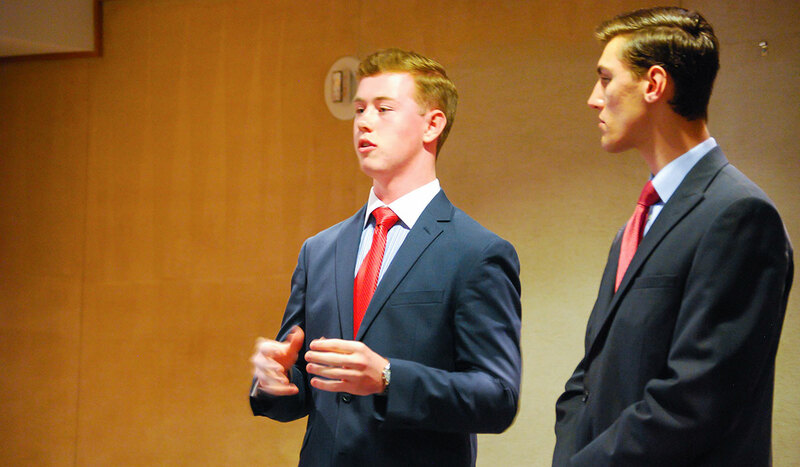 Spinelli, Wilson, and O’Loughlin placed third in the division for 10-minute presentations. Spinelli, a finance major, and Wilson, a marketing major, are both from Johnstown, Pa. O’Loughlin is an exploratory student in business from Pearl River, N.Y. 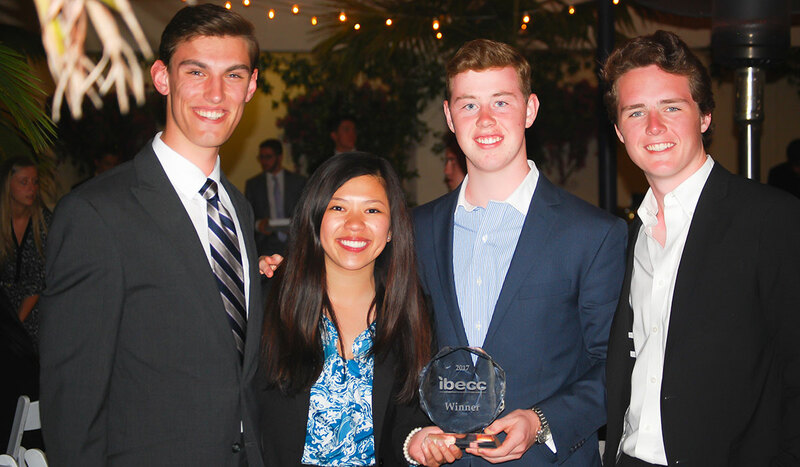 The IBECC, the premier international competition of its kind, was hosted April 19 to 21 in Santa Monica, Calif. 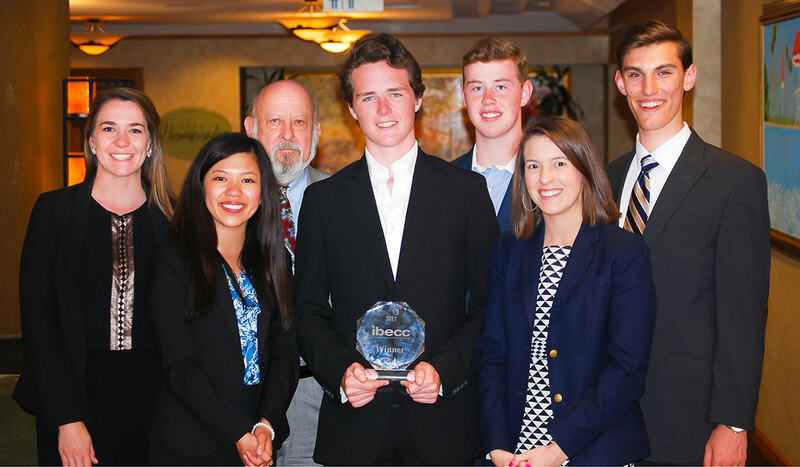 The competition is jointly sponsored by the Center for Ethics and Business at Loyola Marymount University; the Opus College of Business of the University of St.Thomas, Minnesota; the W. Michael Hoffman Center for Business Ethics at Bentley University; and the Ethics & Compliance Initiative. The Catholic University students started working on their presentations during the fall 2016 semester, researching the legal, financial, and ethical dimensions of establishing an ethical compliance office. As part of their research, the team of freshmen interviewed University professors, including John Tieso, lecturer in management. In addition, they met with the director of the Central Office of Human Resources at the U.S. Department of Veterans Affairs in Washington, D.C., to talk about ethical issues in the workplace and different ways to solve them. At the University’s Busch School of Business and Economics, Brooke Wertan, career development program coordinator, and Marykate Kelly, career development director, also provided guidance.